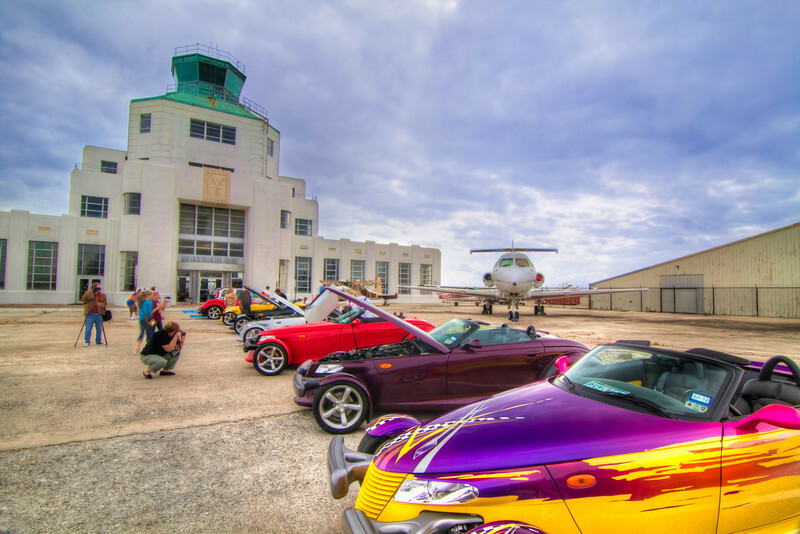 This is the other half of the Wings and Wheels get-together each month for the Wings and Wheels at the 1940 Air Terminal Museum in Houston. In the parking lot you will find some really nice wheels, while on the tarmac, you will find some really nice wings. So whether your interest is on or above ground, there is something to catch your eye. Get there early, so you can catch your photos without too many crowds. Your kids can watch the big commercial jets come and go, while you look at the cool stuff too. So colorful and detailed. What wonderful automobiles. Well done!